Interruptions are a productivity killer for busy marketers. In MarketingProfs' 2019 Marketer Happiness Report, we explored the mindsets, challenges, and satisfaction modern marketers are experiencing both on and off the job. 1 in 3 marketers say they are rarely or never able to focus. 34% say they frequently find it difficult to complete tasks because of interruptions. Trust us, we get it. How's your fitness tracker looking today? Did you add to your Instagram Stories? Wait, did the doggie daycare center just send an update? What's trending on Twitter? Who added another meeting to my calendar? The distractions quickly become overwhelming. How can we all find a little more focus in our work lives? Here are some ideas. Interestingly, half the marketers in our survey (and more so those who reported being most fulfilled in their work) said they have a special place to go to avoid interruption when working on mentally demanding tasks. That's a very simple idea, but it's something we could all do more often. Your quiet spot could be a private place within your office building, someplace outdoors on a nice day, or maybe the local library. 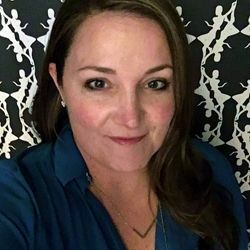 Liz Bothwell is a freelance writer and marketer who helps clients by ghostwriting articles, whitepapers, emails, case studies, infographics, and more. She runs the marketing for live events, manages social media accounts, and pretty much steps in wherever needed.